Beautiful textile illusion by artist Timur Si-Qin! This specific style of pattern is known as moiré. 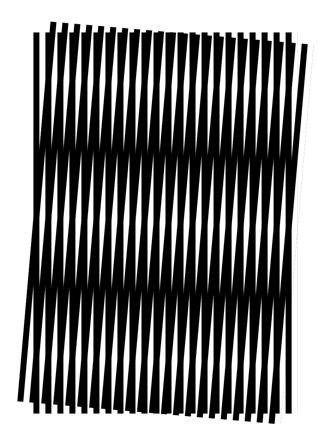 According to Wikipedia, moiré "is an interference pattern created when two grids are overlaid at an angle, or when they have slightly different mesh sizes." Simply, two sets of lines are superimposed over another set of lines. Illustrated example shown below, click through to view an animated demonstration.